Spreading sustainable building in India! 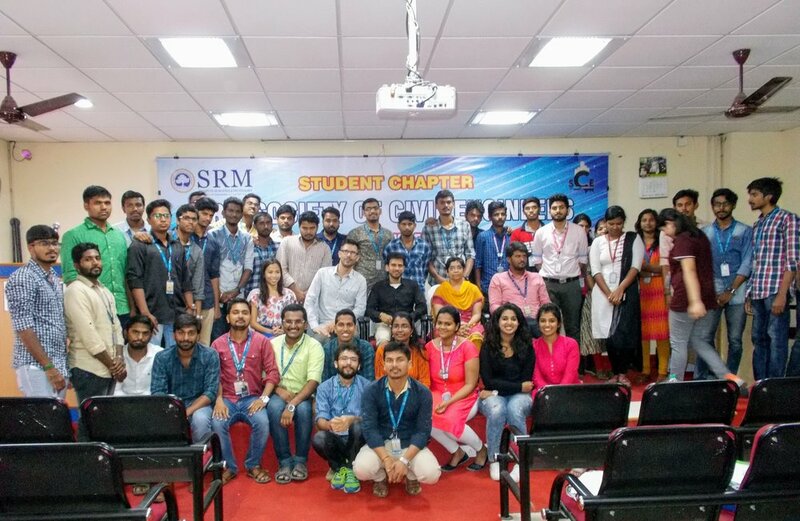 Our team gave just a lecture and interactive session on Earthbag Technology to 50 post graduate students and faculty at SRM Institute of Science and Technology (formerly known as SRM University). SRM is one of the top ranking universities in India with over 38,000 students and more than 2600 faculty across all the campus, offering a wide range of undergraduate, postgraduate and doctoral programs in Engineering, Management, Medicine and Health sciences, and Science and Humanities. We are proud to announce that our article "Bringing Earthbags to the People – A New, Democratic Approach to Sustainable Building" has been published in Consilience Journal - The Journal of Sustainable Development. 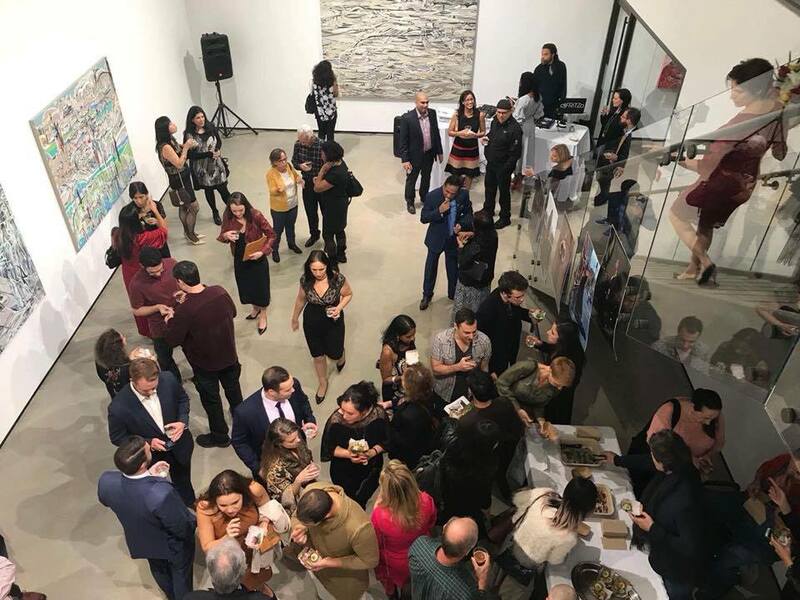 The journal is run by a team of undergraduate and graduate students, under the guidance of faculty from Columbia University in the City of New York. We are proud to announce the completion and opening of Belingtar Primary School in Dhading District, Nepal. Thanks to our team, volunteers and sponsors Kimberly and Becca for making it all happen and giving the children a safe and beautiful space to study. Under our supervision the local community in Bolgaun, Sindhupalchok just completed the walls and bond beam of house #7. Great job team! This community housing project is sponsored by Nimbin Health and Welfare Association Australia-Based non profit. the Nepal Counsel General, and his wife. short talk and slide show about Earthbags and the work we've been doing. Thanks to those who donated and bought tickets, and we hope to see you next year. Nepal recently became the first country on Earth to officially recommend and approve of Earthbag technology; our Earthbag designs have been published in the federal government's official Reconstruction Catalog and ordinary Nepali families can now build their own Earthbag homes, with government rebuilding aid. With these developments Nepal has emerged as a world leader in sustainable building for the masses. We now seek to export these breakthroughs to other developing countries, and with this new challenge are changing our name from Good Earth Nepal to Good Earth Global. As reflected in our current project roster Good Earth Global's commitment to assisting Nepalis most in need is stronger than ever, and we thank the Nepali people for providing us and those around the world with enlightened leadership and renewed hope for a safer, cleaner planet. People: a New Democratic Approach to Sustainable Building". 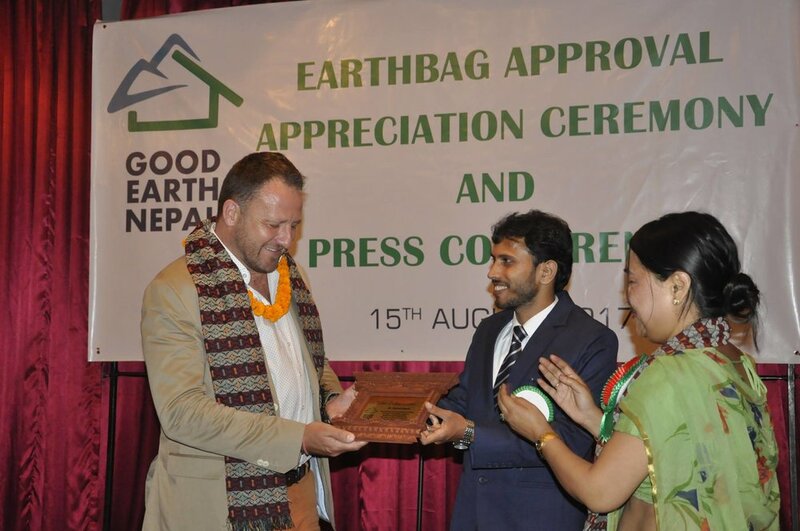 Following the approval of our Earthbag design by Nepali government we hosted Earthbag Approval Appreciation Ceremony that honored high officials of the Ministry of Urban Development and assisting technical experts whose collective efforts allowed Nepal to achieve this great victory. Our guests included Bishnu Paudel - Under Secretary of National Reconstruction Authority, Renaud Meyer – Country Director at UNDP, Ar. Kishore Thapa - Ex-secretary and mayor candidate of Kathmandu municipality, Er. Kishore K Jha - Urban Planner, Former general Secretary of Nepal Engineers' Association (NEA) and other Delegates from Different INGos, Urban Planners and Experts. We are building six houses for our first community-based housing project in Kaule, Nuwakot. 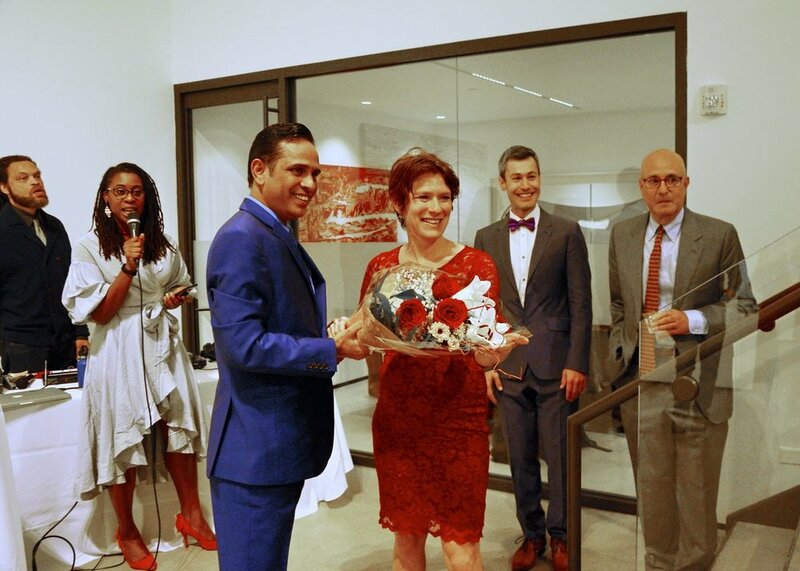 The project was sponsored Carisimo, a German-based non-profit, and Kaule Environmental Nepal provided local support. We completed our model Earthbag Meeting Center on the flagship campus of Anna University in Southern India, in conjunction with university faculty and administration. Anna engineering students helped construct the heart-shaped structure, with Good Earth Global training and supervision. The Meeting Center is shaping up to be the first of many collaborations with Indian universities, stay tuned! In March our intensive lobbying and technical support led to Nepal's approval of Earthbag technology at the federal level. For the first time ever a sovereign country, population 30,000,000, adopted Earthbag construction as a standard and recommended construction technique, suitable for large-scale building. This is our biggest accomplishment to date and, we believe, a turning point in the evolution of Earthbag technology. With this approval Earthbag construction, finally, emerges as amainstream, commercially viable building method. Also gratifying was the publication of our home designs in Nepal's Design Catalogue for Reconstruction of Earthquake Resistant Houses, Vol 2, printed by the Ministry of Urban Development. This means Good Earth Global plans and blueprints will be distributed to thousands of Nepali government engineers, and that Earthbag technology is now an official building option for rural villagers receiving government reconstruction aid. We're immensely proud of our staff, which endured many all-nighters and office sleepovers in order to supply government officials and reconstruction experts with reams upon reams of sophisticated technical data.